I have a few quiet moments in a Starbucks waiting for the next thing to begin. 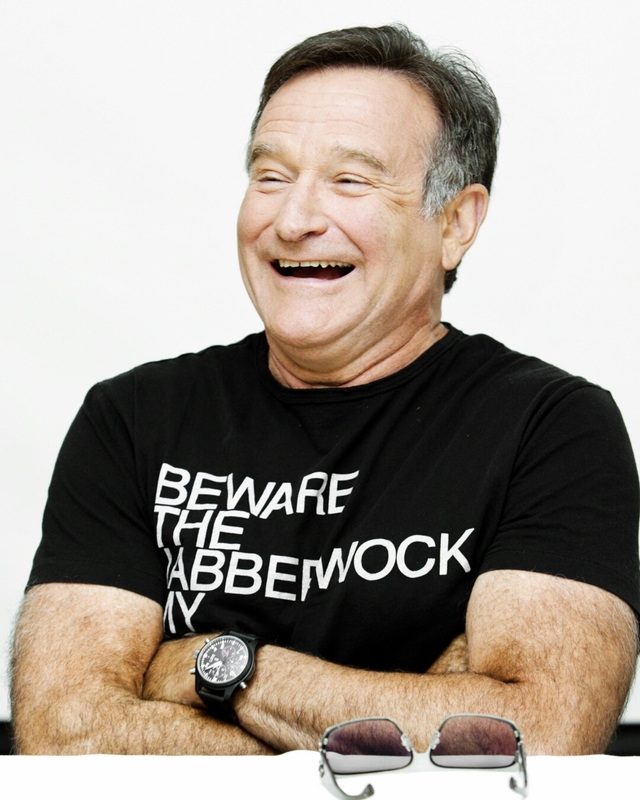 As I am sure most people are today, I am remembering Robin Williams with a heavy heart. Scrolling through Facebook and Twitter, innumerable images with innumerable now heartbreaking, meaningful quotes. I remember silly rainbow suspenders. I remember a white wig and fake lashes, fatigues, tweed jackets, lab coats, blue hoodies, distinguished yet scruffy beards, oversized forearms, blue genies. I remember hearing his stand up and realizing he was more than nanoo nanoo. I remember him playing it crazy, playing it serious, playing it gay, playing it straight, playing it in a million different voices. How is it that Robin Williams and Christopher Reeve, friends and former roommates, both came to such tragic ends? How is it that addiction and mental illness are so often a part of such genius. My heart is heavy. That is all.